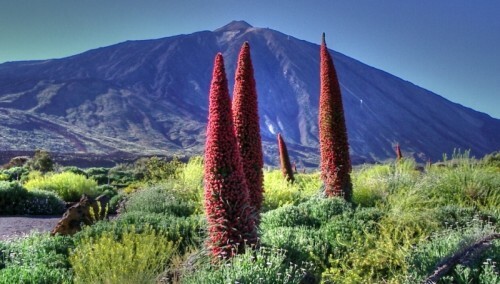 Echium wildprettii-Tower of Jewels- Echium wildpretii is a biennial producing a dense rosette of leaves during the first year and in the second year produces an erect inflorescence between 1 and 3 m tall. Handling of the plant can cause skin irritation or an allergic reaction. Sap is poisonous if eaten. Tolerates full sun and sandy, drought-prone soils. Makes a good screening plant. Zones 9-11.